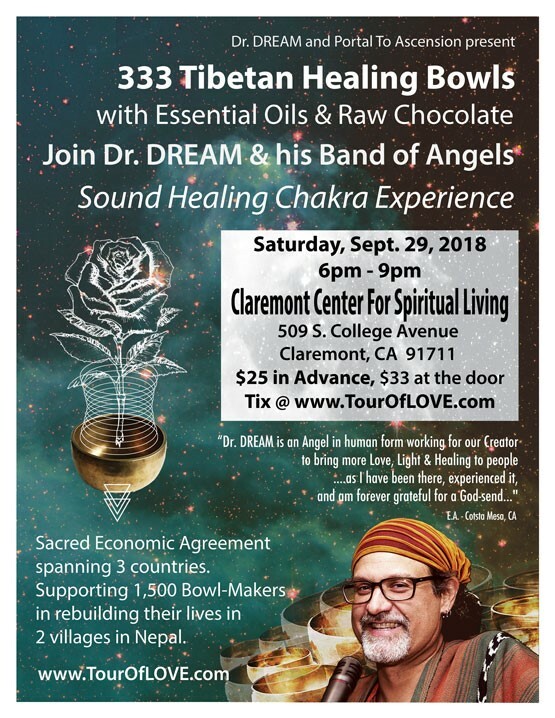 Claremont Center for Spiritual Living will be hosting a “Sound Healing Chakra Experience” on Saturday, Sept. 29th, from 6pm to 9pm. It’s $25 in advance, or $33 at the door. Tickets are available at www.touroflove.com.